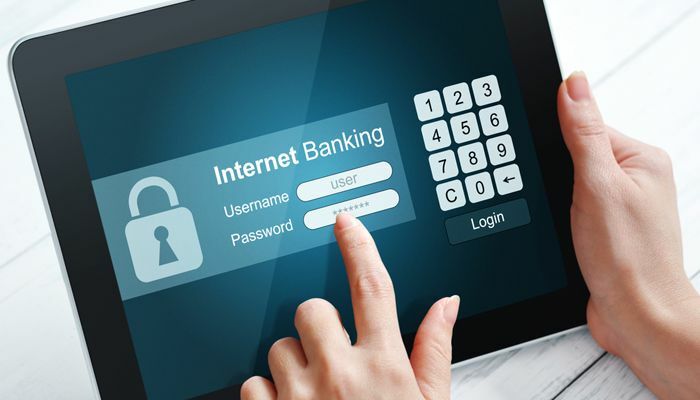 Online banking is something that most of the people use nowadays. The introduction of Android mobile phones gave the banking customers an easy way to make transactions. Today, the market is flooded with many banking application to make banking a friendly encounter. The youngsters are more tech-friendly in comparison to the adults. Hence, they believe in maintaining online banking account as it saves their time. While doing this, one must remember that monetary transactions are an important part of our life and we must handle this issue with care. Keep these points in mind before making an online money transfer. Some banks allow OTP [One-time password] facility to the customers. Under this security, the customer is asked to enter OTP that can be received by SMS and email. The customer gets this password on his/her registered Email_Id or mobile number according to the choice. This procedure blocks the misuse of your ATM/Credit/Debit card. Some banks provide a 3D secure pin with the account opening kit. This is a four digit password and is required every time the customer makes payment. The difference between these two authentication systems is that OTP password holds a short shelve life while the 3D pin offers protection till the account is active. Most of the web pages showcases remember me option at the time of login. People often enable this option to skip the login process every time they have to make the payment. This is a smart mistake that every customer must avoid. The password must be very strong and should consist of a unique combination. The login password should have upper case and lower case letter. Also, the password must have numerical and special characters as a part of the password. Remember, that password must not have common information such as DOB, wedding anniversary date, etc. Make sure that the laptop or the PC you are using is password protected. Also, one must lock the screen while leaving the system in idle mode. This guards the system against breach of financial data. Also, the customer must not share his/her password and account details with anyone. We suggest people note down their account login details in their personal diary. If not, the customer can also make a note in their mobile and restrict the view with a password. These small points can help you save big. One policy that every bank follows irrespective of their location is no asking for account details. Yes, every bank gives clear directives that they never ask for customer’s account details through SMS and email. In fact, the bank has nothing to do with the customer’s bank account details as they have a record of the account balance each of their customers holds. Hence, you are requested to ignore the emails and SMS. In case, you receive a phone call; then you must report the number with the nearest police station and lodge a complaint against fraudulent. Try and avoid the usage of internet café for making online transfers. The computers store history of all tasks carried out by the user. Deleting the history with the help of Ctrl+H won’t help you keep the details secure. As the IP address and links in the cache will showcase them to any hacker or computer engineer. Hence, the users are advised not to use PC’s exposed to the public for online banking. People sometimes make payments through a friend’s laptop. This is also a wrong practice. The banking details data is saved on the computer and can be used to cheat on us. Hence, avoid using any interface that is open to other’s use else than you. The notifications keep you updated about the transactions you did. This alert the customer about the transactions he/she has made. This is the best way to protect you from the misuse of ATM/Credit/Debit card. There are several types of notification one can choose. One is notification via SMS [Short-Text-Message] on the registered mobile number. Second is the notification via EMAIL. Here, the bank will send an instant email about the transaction you made on the registered Email_id. One must clear cache from the system at regular interval to reduce the chance of hacking. Also, one must log out every time after using the system. This protects the system and the customer from hackers and fraud. Cache creates a problem in login. Also, it won’t allow a valid user to login several times. To erupt this problem, one must keep the system up-to-date.